You’re a fundraiser. What next??? | What Gives??? You’re a fundraiser. What next??? Did you always want to be a fundraiser??? 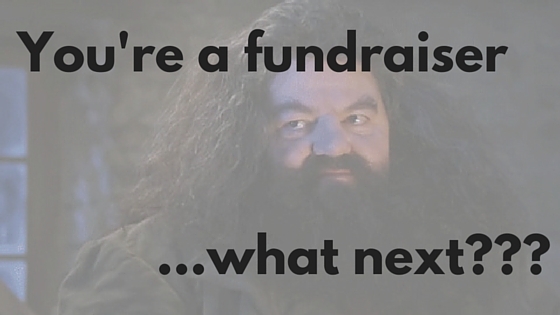 Did you consciously decide to embark on a career in fundraising, or did you fall into it? Did you become passionate about a cause and rally behind it, or is it the business of raising funds that drives you? Are you in this for the long haul, or do you have your sights set on something else? Whatever your path, you’re a fundraiser now. Where do you go from here??? As you may know by now, I’m a young (mid-twenties) professional working in the exciting field of fundraising. My path forward in my career feels very direct now, but fundraising was really something I fell into… at a relatively young age (20), to be sure, but still, it wasn’t something I felt passionate about until I was actually in my first fundraising position. And even then, it took a while to start thinking about it as less of a part-time job and more of a passion. But one day I had that “Aha! moment”, and I haven’t looked back. Early on in my current position (at a new institution) I had the opportunity to attend the CASE (Council for the Advancement and Support of Education) Summer Institute in Educational Fund Raising (SIEFR). That was the first time I really felt the energy and passion of fundraisers; not just fundraisers at one institution, but hundreds of fundraisers, from different kinds of institutions, spread across the globe (I met one gentleman from Nigeria!). These experiences cemented my passion for this field, and so I know I’ll be a lifelong philanthropy-enthusiast. However, I can’t know exactly which direction(s) my career will go in. Right now, all I know is that I’d like to move into a position more focused on major gift solicitations, and that later in my career I’d like to work in fundraising consulting. What can I do now to make those goals a reality??? Well, I’ll tell you this – it’s not always easy. I have a great job with a great portfolio, the perfect work atmosphere, supportive bosses, and autonomy that makes me feel like I’m really driving the programs that I manage, and that I’m making an impact. However when I started, my portfolio didn’t really involve major gifts. How can I get the experience I want? Remember why you got into this field and/or organization. You’re fundraising, which means you’re selling your cause to donors/prospects, and nothing makes someone open their wallet more than hearing your passion and enthusiasm, which, in turn, gets them excited!And if it’s raising funds that you love (vs. one specific organization), then this skill to get behind a cause and transfer your passion to a donor/prospect is transferable across all sorts of different organizations. Figure out what you want from this job. Think big! Just because it’s not on your job description doesn’t mean it’s not possible. Make sure you’re fulfilling the requirements of your job, but is there room for more? For example, if you want to gain experience in major gifts, can you approach your boss and ask if you can join a major gift officer on a call? If so, do it! Gain some experience and insight, and maybe major gifts can become part of your job, too! Find the fundraising in everything you do. At the end of the day, are you a fundraiser??? Early on in my current position, I felt like I spent way more time on events than on fundraising, and that was probably true, but after growing frustrated I decided to look at it differently. One of the biggest jobs in my portfolio is a huge event that is all-consuming for about a month’s time. Rather than see it as a distraction from my fundraising work, I thought, “Wait a second, it’s a fundraising event! It raises around $8,000 for financial aid. What’s that if not fundraising?” But sometimes it’s much more indirect than that. For example, if you feel swamped with prospect research work, think of it this way: without solid prospect research, development officers can’t do what they do. You may not be making the ask, but you’re still part of the process. For any of you relatively early on in your careers, I hope my observations resonate with you. I’m still learning, and plan on learning forever, but I’m a fundraiser now, and that’s the important thing. 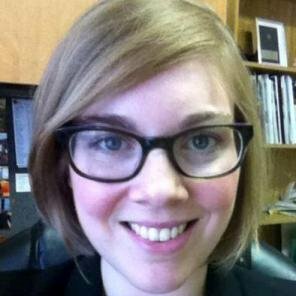 This entry was posted in Career, Fundraising - General, Professional Development and tagged annual giving, career, events, major giving, passion, philanthropy by Maeve Strathy. Bookmark the permalink.